Happy 59th Birthday, Joan Jett! Celebrate With Our Top 5 Favorite Songs From Her! We’ll kick off the list with Joan’s 1973 classic “Do You Want To Touch Me?” The song strays away from Joan’s badass look and sways to a sexier side of the rock n’ roller. The song’s meaning sort of speaks for itself, so we’ll go ahead and let you interpret it on your own, but this tune is for sure one of Ms. Jett’s classics, and does an excellent job of showcasing both sides of her image and reputation. Originally written in 1976 when she was with The Runaways, Joan later rerecorded the song with the Blackhearts in 1984 and included it on their album Glorious Results of a Misspent Youth. “Cherry Bomb” has become a benchmark song in rock n’ roll history as it was one of the first punk/hard rock n’ roll songs written and performed by an all girl band. It is one of Jett’s signature songs, and this list would be complete without it! If one thing’s for sure, Joan Jett does not give a damn about her bad reputation. She wanted people to realize this so much, that she wrote an entire song about it, and the song became one of her biggest hits ever. The tune shows off the edgy side of the rock n’ roll queen. It’s fast-paced, gritty and straight-up badass! We’ve come to realize sonething about this tune, however. It is literally impossible to listen to without head banging. And if you’re in the car, it’s impossible not to listen to this with the windows rolled all the way down, pedal to the floor and this song blaring on the stereo! It would be a crime against humanity not to mention this song on our list! Yes, we know this is a cover of an Arrows song. But, do you really think this list would be legitimate at all without this song sitting at #1 or 2? Exactly. Joan Jett’s cover of this song is the reason we do what we do. 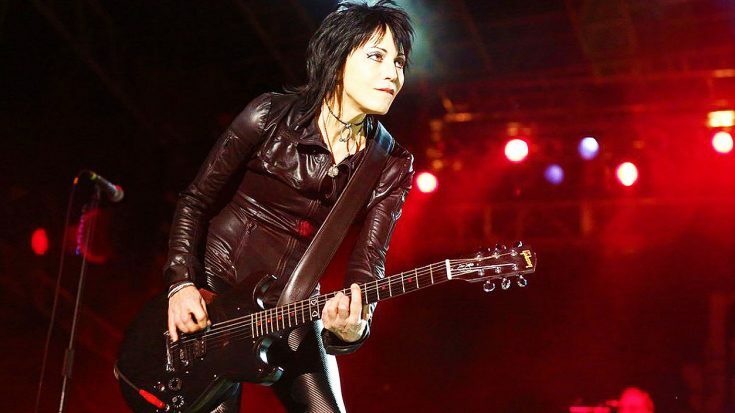 We love rock n’ roll, and Joan Jett makes the world know she does as well with this tune. It’s an anthem, a love letter to the genre that has given us so many legends including Jett herself, and it’s almost impossible to go to a karaoke bar and not hear this song performed by a drunk person at least once during the night. So there you have it! 59 years young and still rockin’ today! Keep doing you, Ms. Jett, and here’s to another 59! Happy Birthday, and rock on!